The story of Suncokret begins in the late 1980s. In the village of Hajdukovo, in northern Vojvodina, Ivan Percic founded the company for the production of cold-pressed oil in 1989. Citizens of Yugoslavia used to travel a lot back then and Percic learned while traveling the world about the spread of health food stores, which didn’t exist in Yugoslavia at the time. He was thereby inspired to start producing. – As a fan of macrobiotic cuisine, I was aware that virgin sesame oil was the most valued type, and it was imported from Asia. Being familiar with the technology of the production of traditional pumpkin oil, I realized that, with some smaller changes in the technology, we could get sesame oil as well. After performing several tests, it turned out that the idea was feasible, that the product was good and that there was a market. 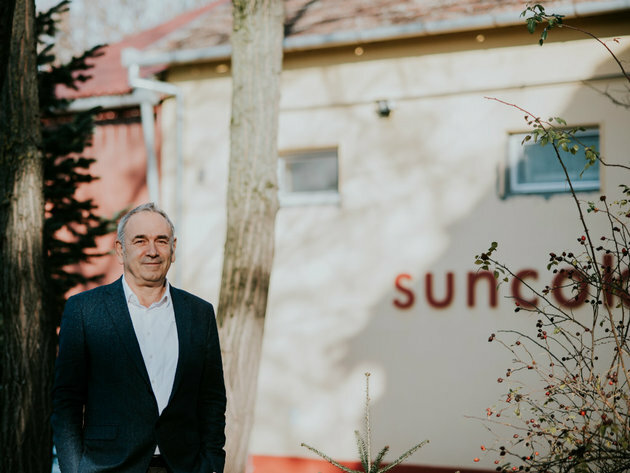 I then bought some 100-year-old equipment, repaired it and upgraded it and founded the company – Ivan Percic, the owner of Suncokret, who was recently pronounced Blic Entrepreneur for 2017, says at the beginning of his interview with eKapija. This marked a whole new chapter in his life, quite different, he says, from what he had planned initially. Percic had studied philosophy and sociology in Ljubljana, preparing to work as a professor. Macrobiotics was not an unfamiliar field for him, however, as he decided to change the habits he had acquired in Vojvodina and switch to eating and living healthy when he was around 20. The decisive factor was a change of the environment and his moving to Ljubljana. – Ever since my earliest days as a student, I’ve been feeling the need to learn the answers to some important questions, such as the meaning of life. Gradually, I’ve come to realize that life is an award with a limited shelf life and that I need to take care of my health in order to have a longer and better life. Eating well has lead to new realizations and is a strong support to my spiritual peace – our interviewee emphasizes. That he wasn’t wrong is shown by the fact that the company, which started out modestly, now has 36 employees and exports to Great Britain, France, Holland, Hungary and the countries of the region, and the products of Suncokret will be available in Spain as well starting this autumn. – In 2017, 85% were local sales, and 15% were exports, whereas the ratio in 2016 was 80% to 20%. Throughout the years, we have constantly been expanding our range of products and our capacities, and the number of employees has grown accordingly. It hasn’t always been easy, but our interviewee has always had the idea and the goal. The point has remained the same – having the ingredients treated as little as possible, eschewing high temperatures, chemical additives, refined sugars, industrial oils, hydrogenised fats and glutens. They started with virgin and cold-pressed oils, continued with butters made of oil plants and developed 10 types of sweet and savory spreads, with peanut butter being the best selling one. They also produce 5 types of bars for diabetics and athletes, four kinds of organic balsamic vinegars, registered medicinal products and fitness products with proteins and crackers with increased protein content. 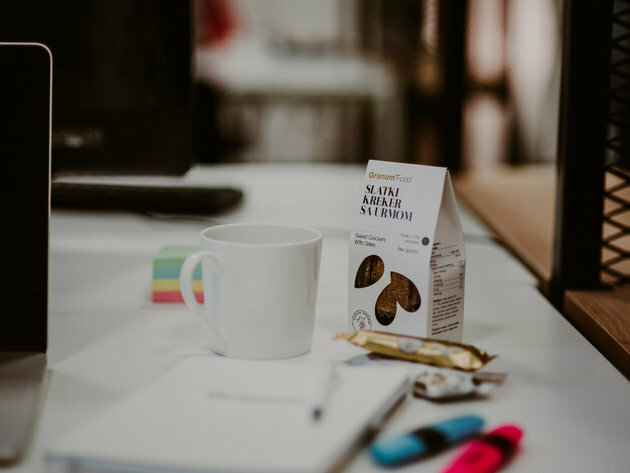 Until 2014, they sold all their products under the name of Suncokret, and then they decided to fully redesign the packaging, change the visual identity and add the Granum brand. – We are developing products for athletes looking to shape their bodies properly. These are protein-enriched products. It’s also important to note that we are a gluten-free company, that our products are vegetable-based and organic. The tradition remains in the domain of virgin oils and oil plant-based butters. As he says, they will also be working on so-called functional products in the future, primarily those with increased protein content, as well as those with medicinal ingredients. From the very beginning, Suncokret has been cooperating with the Faculty of Technology in Novi Sad, whose Department for Oils was one of the most highly regarded in Europe. Today, they cooperate with the Faculty of Chemistry in Belgrade and the Institute of Food Technology FINS in Novi Sad. The company has also been active in organic production from the very beginning. As our interviewee says, products were not being certified back then and it was all based on trust. In 1995, they started making organic products carrying the certificate of Terras from Subotica. However, as Serbia had not adopted a law on organic production, the certificate was not recognized. The owner of Suncokret believes that not much has changed since the 1990s. – Unfortunately, there has been very little improvement, especially considering that, as a country, we have good land, numerous small farms, infrastructure, good climate, the tradition and capable, hard-working people. Even so, they get all the ingredients they can from Serbia. – Everything we can find here that’s of high quality, we get from the local market. These are primarily organic sunflower, flax, apples, raspberries and blueberries. A total of 60% of the ingredients are local, and the plan is for the amount to grow by 10% in the upcoming period. Ivan Percic has also included his children, Ksenija and Igor, in the company’s operations. All things considered, they will successfully maintain the family business.